Beyoncé is only two-weeks old weeks old, but so far this not-even-pint-sized puppy has cheated death four times. You see, Beyoncé's mom was a stray. She was picked up by animal control, while Beyoncé and her littermates were in utero, and they were going to euthanize the pups—but they were too far along. So, instead, they slated Beyoncé's mom for euthanasia. Horrible! But fortunately a wonderful woman named Beth rescued the pregnant dog and brought her to safety. But Beyoncé's struggles were not yet over. The vet warned Beth that Beyoncé, the runt, would be stillborn. And indeed she was not breathing when she was born. But they did a little CPR, and she started right up breathing on her own! Now she's doing well, though she is minuscule in comparison with her brothers and sisters. 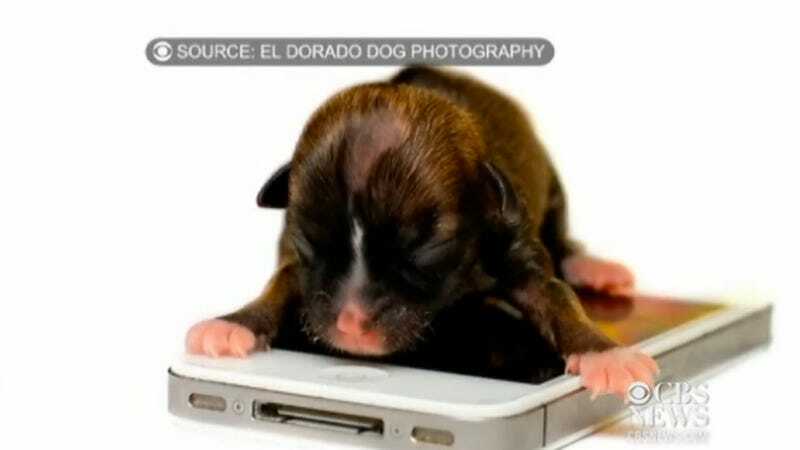 At only four ounces, the teeny tiny lady is about the size of an iPhone—but much, much cuter. And if you're wondering how Beyoncé got her name, Beth decided to name her after the Beyoncé we all know and love because of her song "I'm a Survivor." Perfect choice. Even though the pup will only grow to be about one-and-a-half pounds, you can bet she's going to be the toughest (and most precious) dog around.